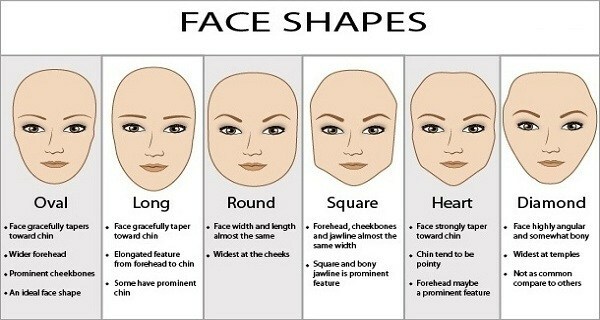 All women, who have this type of face shape shouldn’t have straight or long hair. Women who have oval face should have wavy or curly hair! This is the best hairstyle to point out your lovely cheekbones! Rounder, fuller face shapes most often appear more youthful with their soft full cheeks and rounded foreheads and chins. When deciding upon the best haircut and hairstyle for round shaped faces, focus on slimming the face and trying to reduce the appearance of the rounder, fuller face by adding height. High up styles are a great way to trick the eye into adding height to a hair style. Add soft layers on top to add texture and width around the cheekbones and if you’re opting to cut your hair short and you have a round face, consider a graduated bob that begins at the nape and rests to a point under the chin. The heart shape face is sometimes referred to as the inverted triangle face shape. The best haircut and hair style for heart face shapes is a short bob, which looks fantastic with curly or wavy hair and layers just under the cheekbones to create width at the narrow jawline. Fringes are a great way to balance out a heart shaped face, especially if you have a widow’s peak that you wish to hide. With heart face shapes, the trick is to avoid hairstyles with added height or any hair style that is too slicked back as you should try adding volume around your jawline to balance out your features. These types of face shapes are bold and strong with angular lines and not a lot of softness. Square face shapes convey an appearance of strength and power. Some of the most famous and memorable people in history have square face shapes from politicians to pop stars. Some people may want to add softness to their square face shape by adding texture and softness. This is easily created by styling hair with waves and curls, particularly around the jaw help to detract from this angular face shape. Low Fringes cut to the eyebrows and then cut longer at the sides will help to balance a square shaped face.